The Alameda County Health Pipeline Partnership’s (ACHPP) vision is to have a workforce that reflects the rich ethnic and cultural diversity of our community. 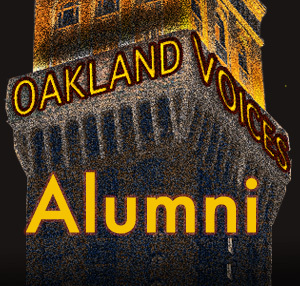 Katherine Brown – Oakland Voices. In looking at the negative perception many people have of East Oakland, one would think that there was no opportunity for success, especially amongst youth. With limited resources and outlets to support youth in their professional and academic development, the future seems to be very bleak for young people. However, organizations like the Alameda County Health Pipeline Partnership (ACHPP) work to counter this perception, by creating healthy pathways for East Oakland youth to be agents of change in their city. The program recruits middle school to college-aged youth that have an interest in health care careers. Career opportunities range from Emergency Medical Technicians to careers in the biotech industry. The partnering organizations that offer this exposure include Bay Area Youth EMT Program, UC Berkeley’s Biology Scholars Program, Biotech Partners, and CHAMPS – Children’s Hospital Oakland. Launched in 2007, ACHPP developed as a coalition with health-related organizations that serve young people. Each of those groups had the similar mission of increasing diversity in the health care workforce. The ACHPP coalition decided to design a program that created a pathway for youth to gain careers in the health care field. Dr. Jocelyn Freeman-Garrick – Alameda County Medical Center’s Emergency Medical Services Base Director helped push forward the effort, and has received funding from East Oakland Building Health Communities (EOBHC). The ACHPP is looking to address those disparities by recruiting young people from those neighborhoods and training them to be health care professionals. While offering paid internships, ACHPP recognizes the importance of making sure that youth are academically and professionally prepared as they continue on their career paths. For example, partnering organization EMS Corps offers EMT courses, and in addition to a stipend, they provide professional development and life coaching – where youth are supported in navigating their internal and external environments. ACHPP also heads the Men of Color Initiative, geared towards enrolling more men of color. In 2010, 75% of the ACHPP participants were female, and 25% were males. In 2011, outreach was conducted in East Oakland – specifically in places like Castlemont High School, East Oakland Youth Development Center, and Allen Temple. These efforts yielded 80 males enrolled in the program. As of 2012, ACHPP has served over 1,000 youth, and they continue to work hard to create more paid internships, especially for youth of East Oakland. For 16 year-old Ivan Arreola, ACHPP is helping to put his dream of becoming a doctor within reach. Katherine Brown – Oakland Voices. ACHPP has, “provided me with a path I should follow and how to get to the next steps to reach my dream,” he adds. The Alameda Science and Technology Institute student also takes classes at Alameda Community College, and will have completed eight college level science courses by the time he graduates from high school. Soon to be a first-generation college student, Arreola joined ACHPP in the 8th grade Model Neighborhood Program. In the summer of 2012, he participated in ACHPP’s Mentoring in Medicine and Science. 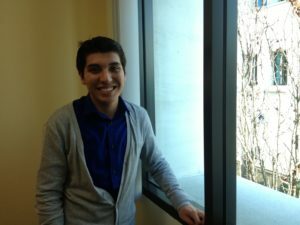 The month-long internship provided him the opportunity to shadow staff in Oakland’s Highland Hospital and the University of California at San Francisco. Through his work as a physician, Arreola hopes to give back to East Oakland. “People shouldn’t be liable for their own health care if they don’t have the finances for it. With East Oakland youth that are passionate about creating better health outcomes for the community, the perception of the city will be much brighter. 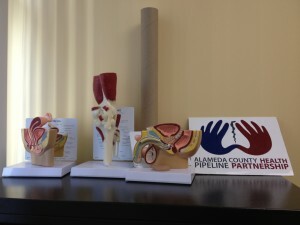 Biotech Partners is very glad to be a member of the Alameda County Health Pipeline Partnership, with our mutual goals, to jointly pursue opportunities and to share best practices.